Welcome Back to Launch Week here at katiemreid.com! If you weren’t here yesterday, be sure to head on over to the Welcome Post and enter the Echoes of My Heart album giveaway. Today, I am featuring some of my favorite places on the web. It is a joy to write for these places too. 1. I’m a contributing writer for God-sized Dreams (GSD). Holley Gerth wrote a book entitled, You’re Made for a God-sized Dream. Checkout my book review of it here under my Resources tab. It is one of my favorite books, because Holley gives such practical advice for us dreamer types. What a relief to be understood and encouraged to be ourselves as we follow the unique path that God has for us. Out of this book a site was born to help encourage and inspire you on your journey. Head on over to God-sized Dreams for on-going support as you take the next step that God has put in front of you. My favorite post I’ve written over there is entitled, A Blaze of Glory. 2. I’m a regular contributor for Kelly Balarie’s Purposeful Faith blog. 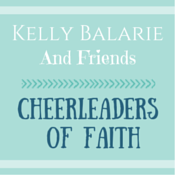 Kelly is a cheerleader of the faith and hosts the weekly #RaRaLinkup at her place. If you aren’t already linking-up with with her on Tuesdays please do so. We’d love to have you join us as we raise our voices together for His fame. I recently joined Kelly’s crew as a monthly writer. You can find my first post here, Are You Starstruck or Awestruck? 3. I’ve guest posted over at (in)courage. Looking for a community of love and encouragement? 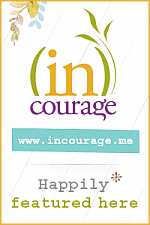 Head on over to (in)courage for daily doses of inspiration, fun and friendship. It is easy to compare ourselves to others and forget that our simple moments are making an extraordinary impact over time. Do you need a reminder that you ordinary story is pretty incredible after all? Head on over and read The Power of An Ordinary Story. 4. I also guest post for some of my blogging friends. It is a joy to guest post for many others as well. Click on the Writing page on this site to discover more articles that I have written. I’d love to hear which one is your favorite article and why it resonated with you. As you know by now, I love to write. So today I am giving away a journal, notecards and some tea (a few of my favorite things) to celebrate the joy that is found in words. P.S. One of my favorite guest posts is found over here on Wendy Speake’s lovely website. This Friday concludes a 40 Day No Sugar Fast that many of us have been on and this post contains reflections from this refining process. If you haven’t already, head on over to read When An Angry Woman Meets A Kind God. P.P.S Joining Kelly for the #RaRaLinkup and Holly for #Testimony Tuesday. Come on over and join the fun! Katie, I love this. Your idea of encouraging others to write because they love it is delightful. We have all been given gifts and ought to use them. God wants us to! I have been a journal-writer since I was in high school. Writing online is a way for my journaling to continue in a way that has turned out to reach many through nothing I had planned. May we do what we love for the glory of God. Amen Linda. I used to journal a lot more. I’ve recently heard about Bible journaling (with art) and might try it. Have you tried that? Thank you Kristen. Your leadership and willingness to serve is a blessing! Your new space is just beautiful! I always find encouragement in your words & am always grateful to read your posts! Hi Joanne and thank you so much! Beautiful new site, Katie! I love it. I can’t wait to see what the Lord does through your willing obedience to serve Him here. Hi Dawn! I appreciate your kindness. I have always loved writing, too, but you blow me away! How do you find all the time (and brain power) to contribute to so many sites? I can barely manage to keep my own little blog going! Hi Jessica- I smile when I see your name. Seriously feels like seeing a friend I’ve known for years. The brain power is diminishing with all these words swimming around-ha! Sometimes I forget how to write basic thoughts. This last month has been especially crazy with posts- more than usual. I’m a “driver” who is trying to learn to slow down. Thanks for encouraging us to keep writing and keep dreaming. Always so blessed by your words and insight, Katie. Yes, Tiffany! Keep writing and keep dreaming. I’ve been following your blog on Facebook since I read your guest post on Wendy’s site about The Sink. Beautifully written and so encouraging to my spirit. I love what you’re doing here to encourage other writers. I have always loved writing, but last fall decided to start my own blog. I rarely have time to write like I want to, but pray that all that I do write, brings glory to His name alone. May He continue to bless you and pour out His love to others through the many gifts He’s given you! Thank you Dacia. “Heartache for Heaven”- such a powerful phrase. Hi Dolly- Thank you lovely soul. Thank you for encouraging us in our own writing journeys. That is just like you! 🙂 I love you new look and all you have done to encourage me. Have a blessed week. Thank you Mary- yes, keep writing! I’m so glad our paths have crossed on this big ‘ole crazy internet. You’re such a breath of fresh air and offer so much encouragement here, and wherever you write. Me too Kristin. Keep being you. Oh how He loves you! Anyway, so glad I visited from the #RaRaLinkup… may God continue using your light that shines so beautifully! Christine- what a powerful post. Thank you so much for sharing it so that others may rise and stand up with the strength that He supplies. What a great blog post theme. There are so many wonderful communities around the blogosphere and you have a gift for connecting people there! Thanks Wendy. I do like to invite people to places that I’m exited about and to engage with others that I love. Such a joy to be on the 40 Day No Sugar Fast with you. Thankful for you Asheritah- you’ve inspired me! I love the new look as well as getting to know you a little better. I look forward to reading more of your heart words here. Thank you, Katie for these tips and offers. I like stationery a lot, so am interested in the note cards and more. God continue to bless you richly! Hand-written notecards can be such a gift- glad to help others encourage. 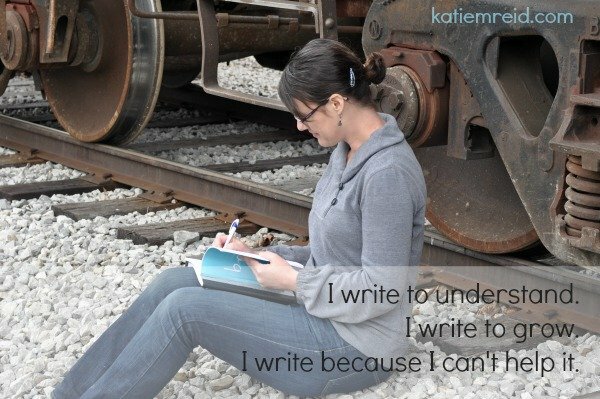 Katie, I only met you online this year, but it’s been fun to watch your writing ministry expand and grow! Your words never fail to touch my heart.